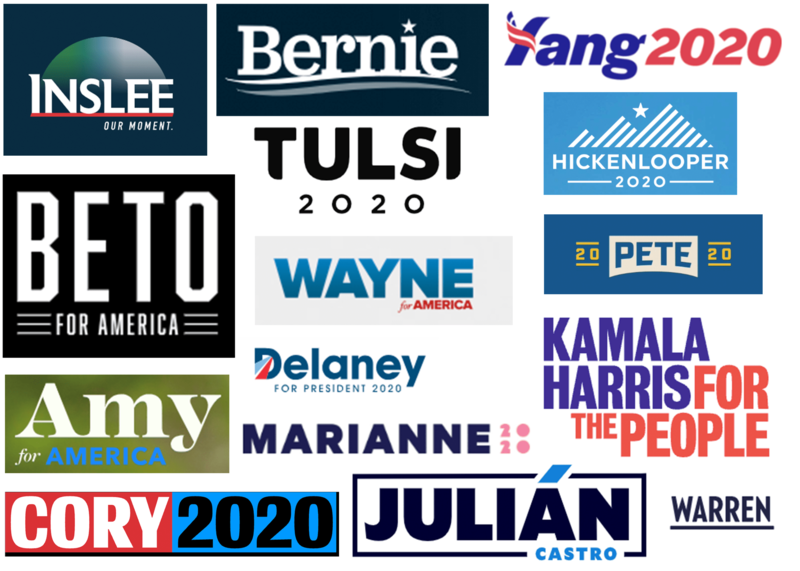 This morning I went to all the websites of each of the candidate and grabbed their primary logo. Fascinating to see the different moods conveyed by the different marks. Forgetting about the candidates, I find the Beto O’Rourke and Cory Booker to have the strongest marks. Bernie Sanders is already a classic, right? Kamala Harris looks better when paired with photography. John Delaney’s mark is meaningless to me. Amy Klobuchar reads midwest friendly. Tulsi Gabbard’s custom mark, I find, to be simple and memorable.